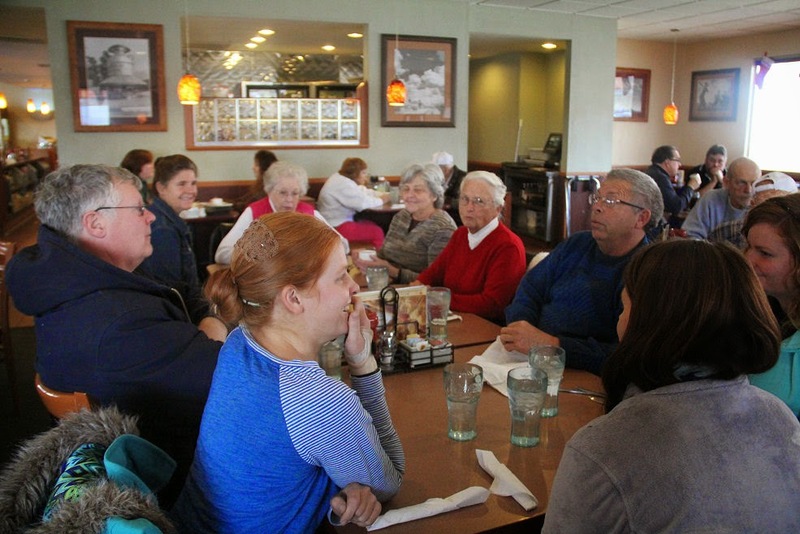 Diane, mom, Emily, Rhoda, Sarah and I headed down to Meisters to work on the Berean stuff and were joined by Eva Jean, Shirley and a couple of Lisa's kids. The best part about today was the donation of papers clips that came in. 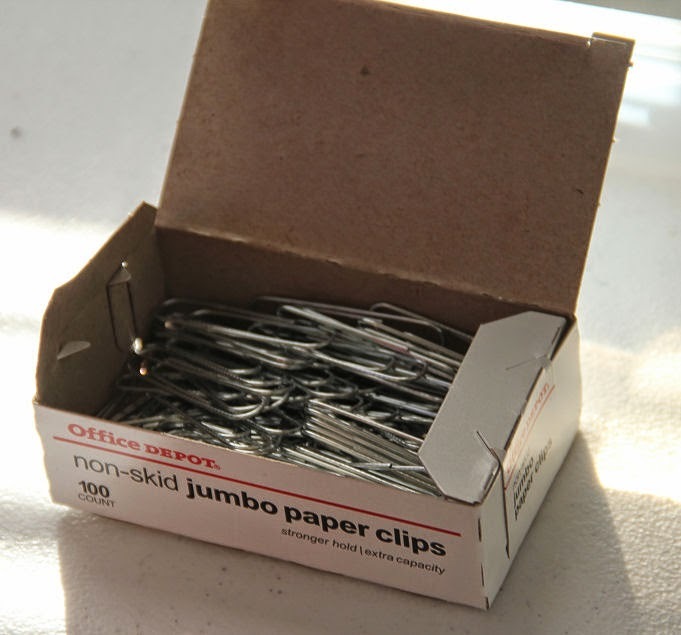 We got 10 boxes of them giving us an extra thousand jumbo paper clips. 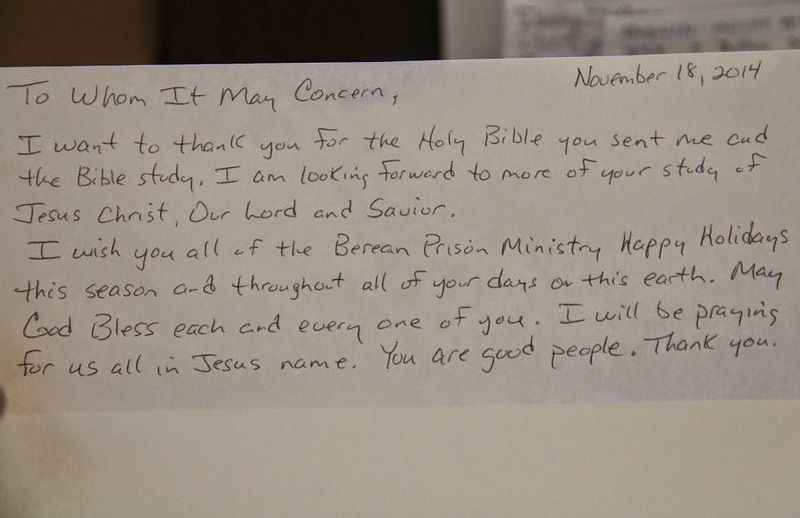 We can still use more so if anyone has any laying around please consider donating them to Berean Prison Ministry. Below Eva Jean is putting them in our box to prepare for the day. 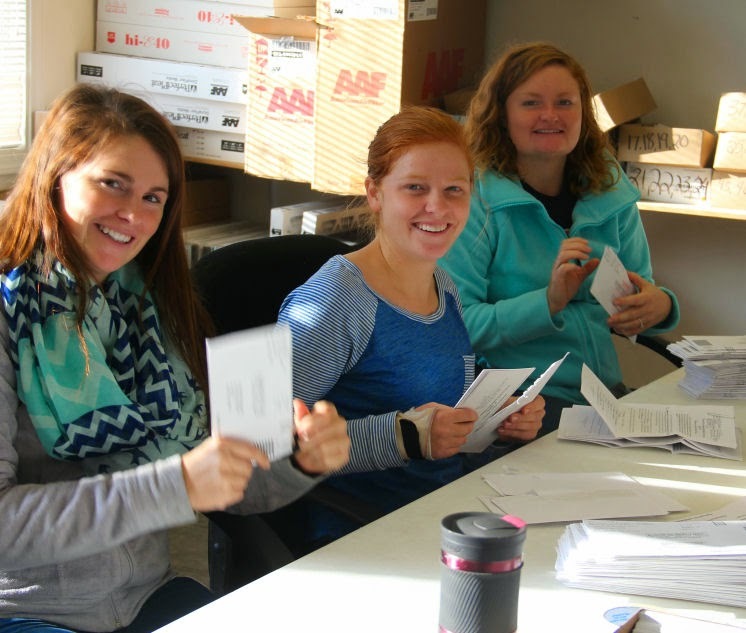 Sarah, Emily and Rhoda were put to work opening the mail and stuffing envelopes. 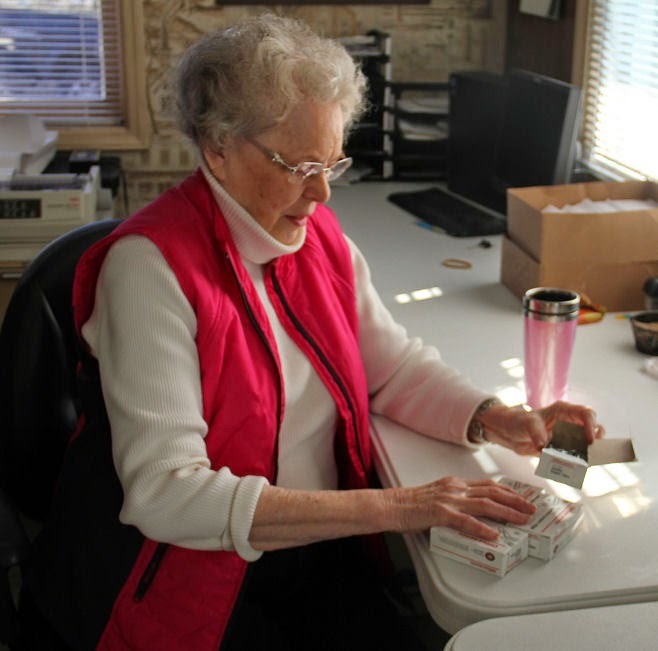 Mom, Shirley and Eva Jean were busy opening and reading the mail. Today Shirley was introduced to the computer work. She is going to be learning the program for when Diane and I are gone. 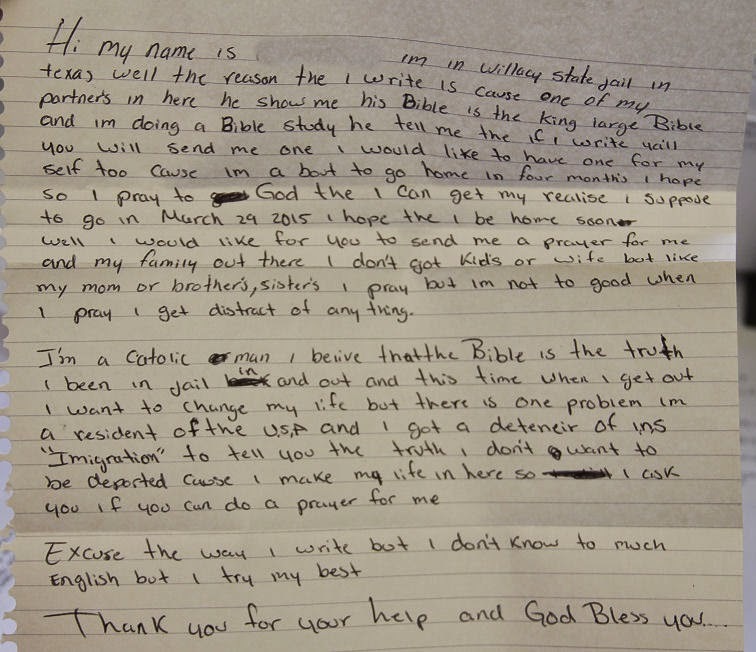 Below are a few of the 150 letters that came in today. 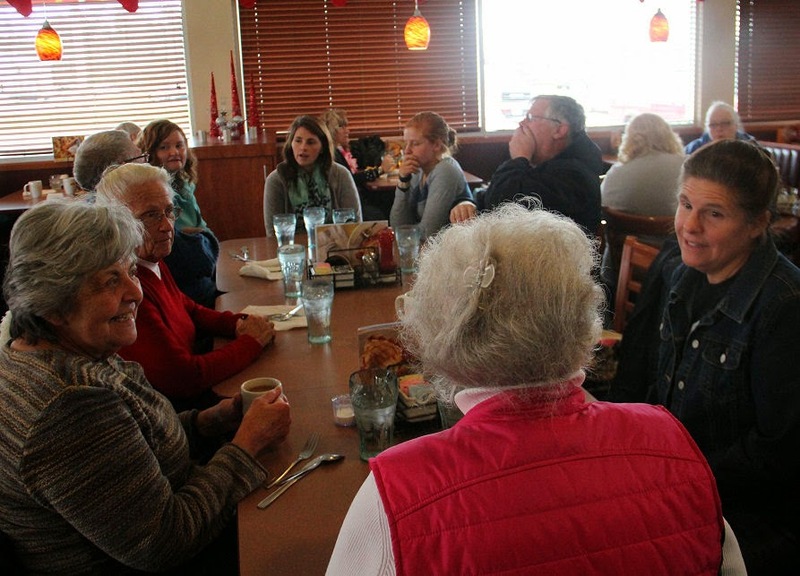 We broke at noon for lunch at Denny's. 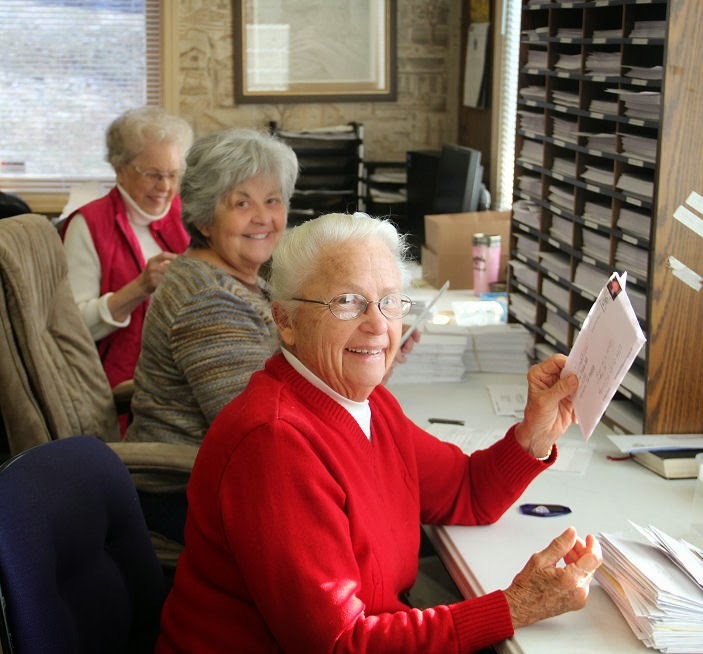 After lunch, Diane, Shirley, Eva Jean, mom and I stayed to finish up labeling the Bibles and stuffing the envelopes. We filled one entire box of studies that will go out in tomorrow's mail. 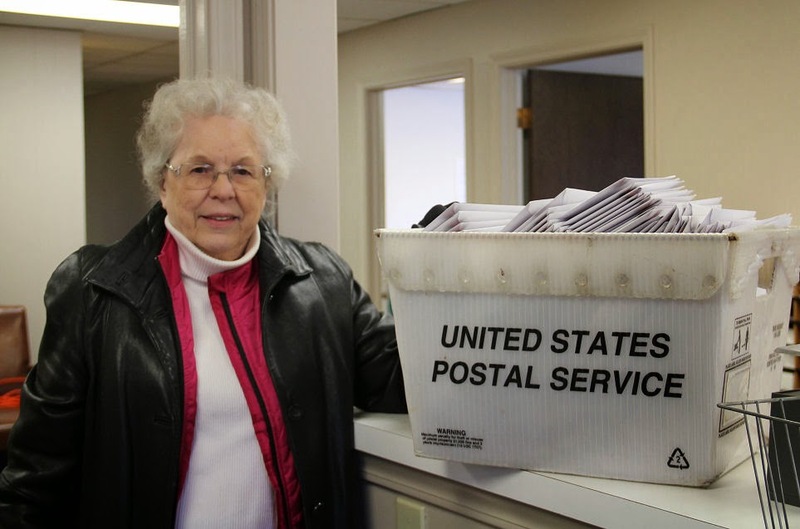 I'm sure Meister's mail man is probably thinking our office sends out a lot of bills, either that or this office single single-handedly keeps the Bartonville post office in the black.